There are so many things to enjoy when the days get warmer and we can play at the beach again ! 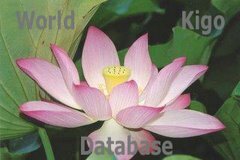 This kigo carries a lot of joy and pleasure. Let us look at some kigo in this context. This is also the title of a famous song about the Tomonoura coast on the Inland Sea. Click on the PHOTO to see more dishes!
. Shimizu Stationlunch 清水駅弁 . with more news about the Sakura-ebi. The males have a strong claw at one hand to scratch in the sand. This looks as if they were begging the tide to come back, hence the name, literally meaning "begging the tide, inviting the tide". But it may be rather ment for the females to come closer. A small type of squid, no more than 5 cm, but it can flicker like a firefly. They come to the shallow seabed to lay eggs and are a pretty sight. Japanese also love to eat them. A pleasure for the whole family on warm spring holidays. Even in the Bay of Tokyo there are now clean places where we can enjoy this. The poles are of wood or bamboo and help keep seaweed growing there. 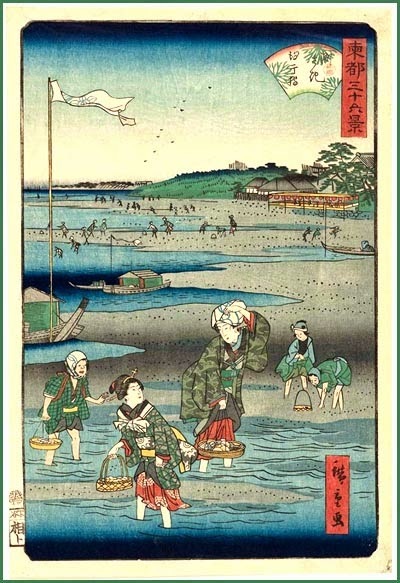 The seaweed is harvested by hand, from small shallow boats gliding between the poles. On the photo you can see the crude oil combinates in the background of Tokyo Bay. ©　Photo Suikiban Mikumo, Mie Pref. They are quite prickely when you touch them. 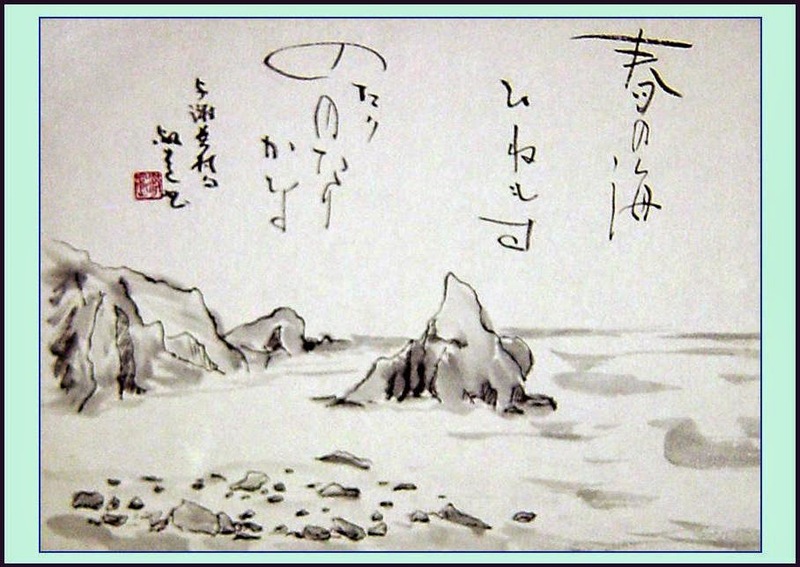 They swing open and close in the shallow water and are therefore also called: "stone peonies" ishibotan　石牡丹. hinemosu, shuujitsu 終日 "end of day"
Where is the poetry in that? It is just a statement of what is happening. To summarize all of this quite simply, hokku is not what we ordinarily think of as poetry (so-called), but hokku lives a life separate from that of so-called poetry. There we have it in a nutshell. The spring sea rising and falling, rising and falling all day. The spring sea Waves undulating and undulating All day long. The springtime sea: all day long up-and-down, up-and-down gently. On the spring ocean, see the waves, the waves all day long. spring sea surging swelling all day long! The spring sea, Gently rising and falling, The whole day long. and sentences without Chinese characters is a slow process because you have to stop and figure out what the words are as you go along, especially when they are in a long line like the one above. This slowed pace perfectly matches with the "all day long leisurely" sentiment that completes the haiku. The cutting word is "kana," which is a spoken particle that expresses the speakers admiration or wonder at the scene they are describing. It is almost exclusively used at the end a haiku and it cuts the haiku by highlighting a phrase or an image that is already grammatical cut. all day long a leisurely loll and sway! greener while the coming and going of the white sails of ships increases. Now that we know the tropes, we can begin to fill in some of the imagery. gives a version that captures the passing of the day better. Everyone has the experience of watching boats on the sea and then noticing how they've changed positions when they look at them later. The moving of the boats and the sea are now tied together through time and since the boats do move, the hint of a breeze also creeps into the haiku, as well as the glint of the water. but this one isn't as quite as sublime as the others. The particle "kana" can also be read as implying that the speaker is wondering about something as well as being wondered by something. The spring sea...does it leisurely loll and sway all day? The spring sea... will it leisurely loll and sway all day? what a fine day !